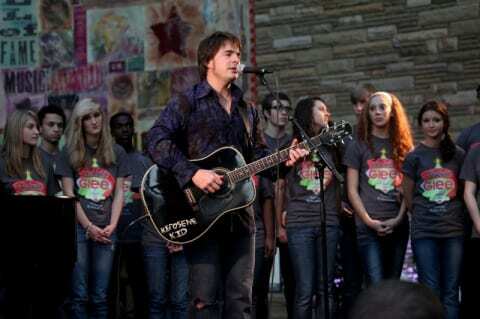 Jimmy Wayne helped the Country Music Hall of Fame and Museum ring in the Christmas holiday with its first ever tree lighting ceremony on November 25th. Wayne performed a mix of originals and traditional Christmas carols with special guests, the Independence High School Show Choir, and helped count down the lighting of the Hall of Fame’s 25 foot Christmas tree. The newly published author also signed copies of his book Paper Angels (Howard Books/Simon & Schuster) in the museum’s gift store following the ceremony. Wayne recently finished writing and recording a new CD inspired by people he met and places he saw during his 1700-mile walk to raise awareness for foster children across America. The release is expected in 2012. Nashville based trio, The Farm, performed their new single “Home Sweet Home” at Philadelphia’s Thanksgiving Day Parade last week. The single, off their forthcoming debut album, is currently charting at No. 46 on Mediabase and has been added to over 50 stations across the country. A video of the Thanksgiving performance from ABC6 can be seen below, featuring band members Nick Hoffman (vocals, fiddle), Damien Horne (vocals, keyboard, guitar) and Krista Marie (vocals, guitar).